Congratulations to Chip Ganassi Racing on their GTE Pro class win at the 2016 24 Hours of Le Mans. Drivers Joey Hand, Dirk Müller and Sébastien Bourdais shared the top step of the podium. 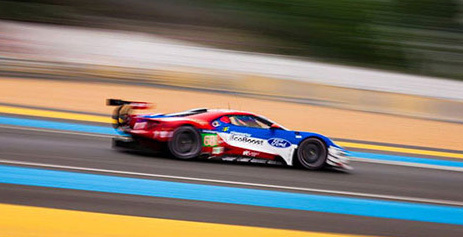 Two more Ganassi Racing Ford GT entries finished on the same lap in 3rd (Ryan Briscoe, Richard Westbrook, Scott Dixon) and 4th (Olivier Pla, Stefan Mücke, Billy Johnson). The final Ford GT entry (Andy Priaulx, Marino Franchitti, Harry Tincknell) had problems and finished 9th several laps down. To make the 2016 victory taste even sweeter, it came on the 50th anniversary of the Ford's first overall win at Le Mans back in 1966. Under the guidance of Carrol Shelby, Ford GT40s finished 1-2-3 that year and began a streak of four consecutive LeMans victories. MK Technologies is proud to have supplied Chip Ganassi Racing with a set of ZeD 2.1 Scale Pads for the 2016 Ford GT program. The #68 Ford GT of Joey Hand, Dirk Müller and Sébastien Bourdais at the 24 Hours Of LeMans, 2016. 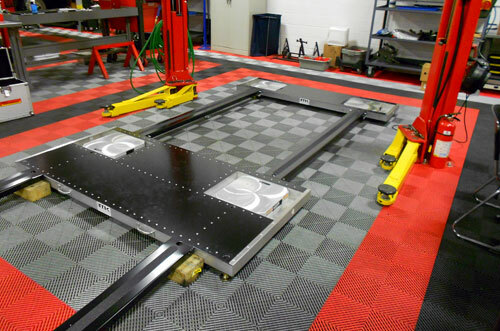 The ZeD 2.1 Scale Pads built by MKT for Chip Ganassi Racing's Ford GT program. 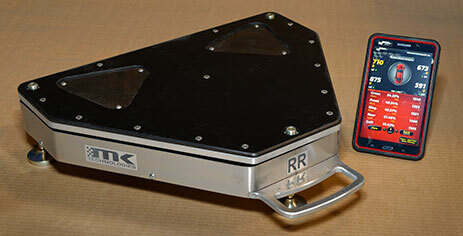 Continual innovation at MK Technologies has produced the next generation of ZeD Triangular Scale Pad – the ZeD 2.1. 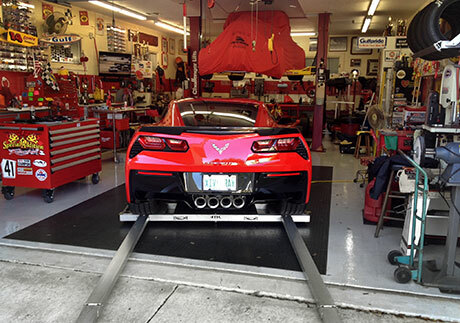 The first customers to take advantage of the new state-of-the-art design were Andretti Autosport and Ganassi Racing. Andretti will be using ZeD 2.1 Scale Pads and custom MKT setup Wheels for his IndyCar program, while Ganassi has 2 sets for the new Ford GT program. • Better internal wiring: circuit board based for easier assembly and service. • Bolt-together “laminated” top plate: a ¼” base is lightly machined to ensure flatness then bolted to a ¼” cover with cut-outs for the hard plates. The top cover can be anodized any colour. 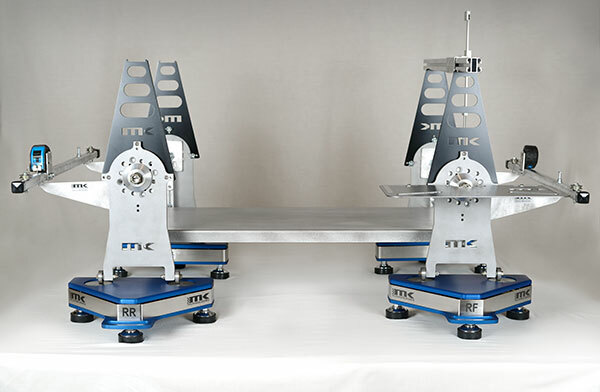 • The hard-steel plates (the setup wheel rolling surfaces) are now triangular in shape, allowing us to bolt them down while keeping the bolt heads from interfering with setup wheel movement. • Custom sizing is available to suit our customer’s set-up wheel dimensions. • Wireless scale controller is now a Samsung 7” tablet with Bluetooth connectivity. • New additional option: rolling travel case with custom internal mounts to ensure the scales pack easily and travel well. It may look like a prop from Battlestar Galactica, but in actual fact this crazy-looking rig was part of our display at the PRI show in Indianapolis. • Our new ZeD 2.0 scale pads (looking fab in blue!). • A new entry-level Setup Wheel design. • A new Ride Height Gauge designed specifically for customers using Setup Wheels... and it conveniently measures from the top! • MKT Parallel String Toe Bars. • Toe / Camber Board. Our friend Wally from Tampa Bay, Florida is at it again. He is continually coming up with cool toys to roll onto our MKT3000 platform, and this time he's given us a serious eye full of auto-candy. 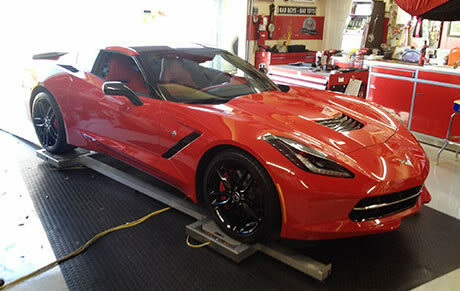 Meet Wally's new Vette. He picked up the car at the end of October in Bowling Green and made the 1000 mile trip home... in record time no doubt. Wally has been waiting since February when he put down a deposit with the dealer. Apparently 8 cars per day are produced, and Wally was 117th in line. The car was built on September 25, VIN #1716. 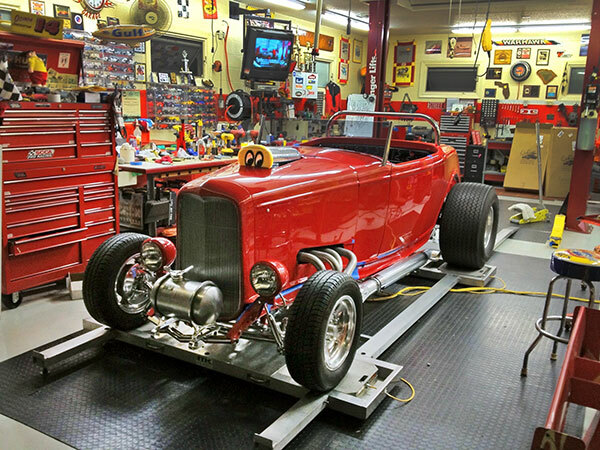 Now here is an interesting twist on our MKT Rolling Chassis Stand. With a few simple mods we ended up with the perfect rotisserie for a formula car chassis. 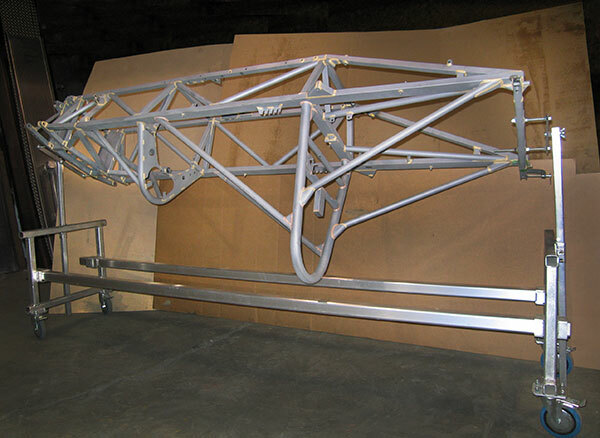 This rolling and spinning chassis stand is ideal for painting or any other detail work. MKT staffer Jeff Secord gets full credit for the rotisserie idea, which popped into his head while thinking about how hard it was going to be to paint the frame. Nice one Jeff! 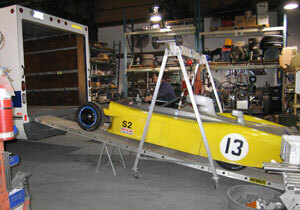 The chassis in the photo is an RF81 Formula Ford belonging to Doug Floer. 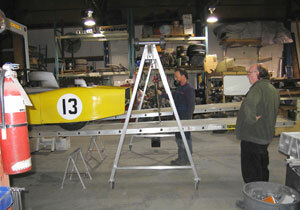 K Technologies recently constructed this one-off MKT3000 scale platform for Level 5 Motorsports. 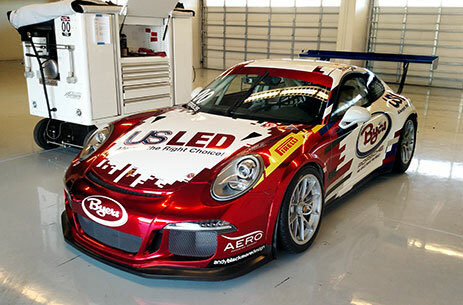 It was designed for the WEST WR1000 car the team is campaigning in IMSA’s Cooper Tires Prototype Lites series. 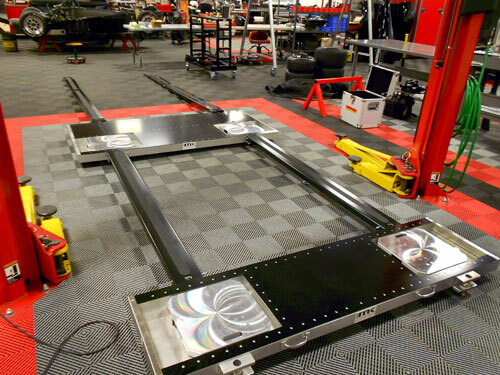 The custom platform features an oversized pontoon, designed for the team's specific ride-height measurement requirements. 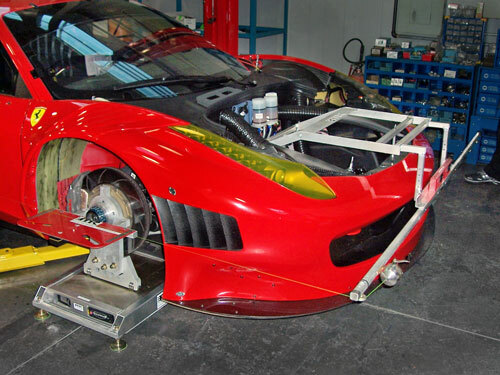 And if the need arises, the extra-wide scale pockets give the team the flexibility to set up the platform for other cars with different tracks. So far this season, the Level 5 Motorsports team and Driver Scott Tucker are leading the L2 class championship with 2 victories in the first two races of the season. Well... not really. We're just pulling your leg. 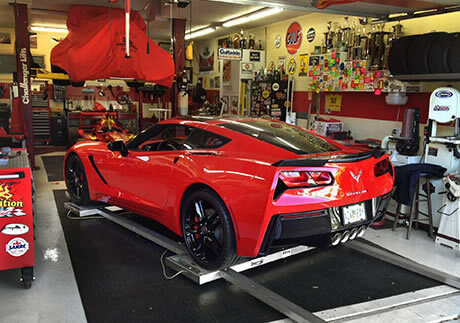 Actually our friend and long-time customer Wally from Florida sent this photo of his hot rod sitting on his MKT3000. We've seen quite a variety of cars parked on our platforms over the years, but this one got our attention, so we just had to share! P.S... Wally races a Formula SCCA car in real life. 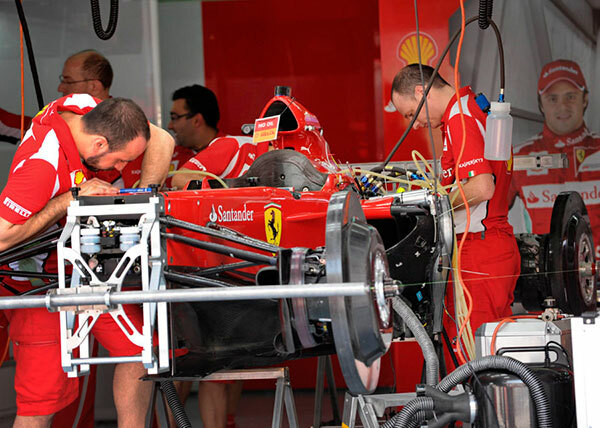 Even with their extra-large budgets, the Ferrari Formula 1 team relies on parallel string toe-bars; still the best way to measure toe. To get your very own set, see our toe bar page. Although MKT doesn't carry toe bars for a Ferrari F1 car, we do have toe bars for Ferraris, and plenty of other sports and formula cars. Don't see your car on the list? Just ask... we can fix you up. 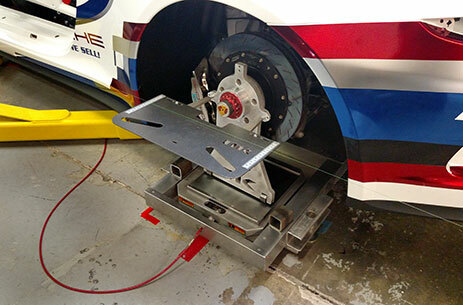 When our friends at AIM Autosport needed a specific scale tray design to suit their needs, MK Technologies stepped in to solve the problem. The result is the MKT1200, the ultimate compact set-up platform that doesn't sacrifice performance. Our scale trays feature handles at both ends making them easy to carry and store. 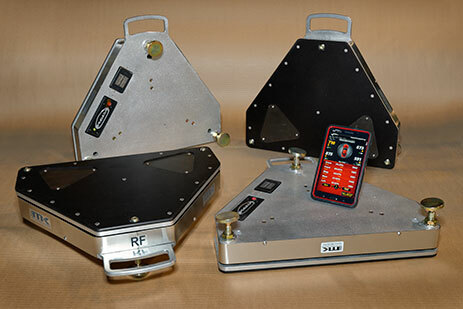 The MKT1200 can be used with standard 15" x 15" scale pads or a set of our ZeD zero-deflection scale pads (wired or wireless) built to a custom size. 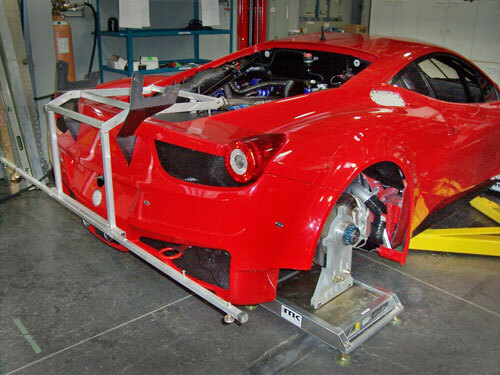 The AIM Autosport Ferrari F458 using a set of new MKT1200 scale trays with a collection of MKT alignment products, including optional wireless ZeD scale pads, setup wheels, a toe / camber board and a parallel string toe bar system. 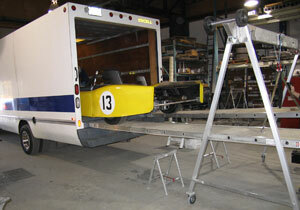 An MKT A-frame, a set of tall chassis stands and a ladder were put to good use loading a sports racer into the back of a cube van at the MKT factory. Just think of what you could accomplish with your very own MKT A-frame! Check out some of the new accessories available for the A-frame.